For the price of the Iraq War, we could've bought each resident of Orlando, Florida, their own military attack aircraft. The population of Orlando is 227,907. 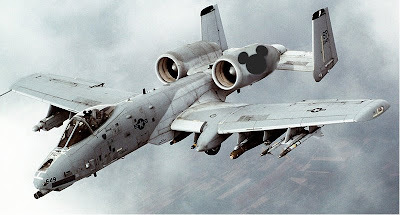 The heavily armored A-10 Thunderbolt, used by the Air Force against tanks and other ground targets, costs $11.7 million. Equipping each resident of Orlando with their own A-10 Thunderbolt would cost $2.67 trillion, which is less than Joseph Stiglitz and Linda Bilmes' estimate of over $3 trillion for the cost of the Iraq War.